The act of anticipation generates more excitement and other positive emotions about the upcoming event that’s being anticipated. This is true for food (when you wait for your favorite pizza to be delivered), while waiting to see your favorite movie, or when thinking about seeing an old friend. Anticipation creates more desire in you to go eat that food, go see that movie or go meet that special friend. The same is true when you deliver a speech in front of an audience. 1. Set the GPS to navigate through your talk. Let your audience now where you plan to take them and what road you’ll take to get them there. 2. Tease your audience. Give them teasers. Make an exciting promise. This way, you make your audience crave more of what you have to offer. 3. Nest a story within a story. Engage your audience’s emotions by telling a story then make a detour to another story. end that other story first before heading back to the first one. This way, you will create nested loops to keep your audience craving for a resolution. Have you ever tried comparing 2 options in your presentation? Say, you want to show the advantages and disadvantages of using Facebook or Twitter for your business. What kind of layout do you use? How do you easily show your audience the results of your research for example? For PowerPoint users, you can try the Balance SmartArt layout. What’s interesting about it is It looks like a scale. What happens is, the side with the more number of items you put get to tilt on its side. This way, even by just looking at it for afar, you already know which option has better and more advantages. Test your tripod. This will be for the flip chart that you’ll be using. So make sure it’s sturdy. Plan to use more than one color. Differentiate the color of the the pen you use for action items, for bullet points, etc. But be consistent with it to make it easy on the eyes. Practice tearing off pages and taping them to the wall. You’ll be more efficient if you have strips of masking tape all ready to use. Write large and legibly. The goal is for everyone in the room to be able to read your writing. So basically, even with just a flip chart, tape and some markers, you can still make your presentation meaningful. We all want to give sales presentations that are meaningful for our audience. We want to engage them, make sure they find our topic relevant and interesting so they get to buy from us. Unfortunately, this is not the case for most sales presentations. Typically, the audience get bored halfway through the entire thing and before you know it, you’ve already lost their interest (and the sale!) on what you’re trying to convey. So how do we make sure that our sales message gets across our audience? How do we make our sales presentations better? Below are 14 ideas you can apply to make your sales presentations a lot more engaging. Focus your sales message on three key reasons to buy, and place everything else into one of those main categories. It will make your sales presentation far more persuasive. One of the best ways to challenge your prospects is by starting your presentation by looking at why what everyone has always done doesn’t work and won’t work, and what that costs. Edit your presentations aggressively – try cutting half the material, tell your story pithily, and make certain to address the decision your prospects are making at the right stage in the sales cycle. Don’t use text to communicate at all. Just use photos you took or that are really relevant, graphs, charts, and other visualizations. People can’t read and listen at the same time – so stop undermining your sales presentation with lousy text-heavy slides. Find a prop, pass it around, talk about it, show it, let your audience hold it. Props help to make presentations compelling. Use a variety of media, as appropriate, to help make your presentation more compelling. Hyperlink parts of the relevant slides, and click on the menu when presenting to skip to that section. Use a tool like Brainshark to record a narrated version of your sales presentation, and then track exactly who watches. A presentation needs a presenter too, and presenting confidently and clearly can make all the difference. Try presenting your introduction – describing the problem and the cost of not solving it – and then stop presenting and start questioning. Why plan out a 20-minute monologue when you can present a few slides, talk, then follow-up with whatever’s relevant. Annotate photos, populate charts, or even ask your prospect to take control and sketch out their own situation. Divide your sales presentation into short sequences, and present with SlideShark. Use a sketching app such as Bamboo to share ideas. Sit on the same side of the desk. Hand the iPad over to your prospect. Be conversational, and interactive. Presentation design expertise can protect your brand and deliver compelling visuals. 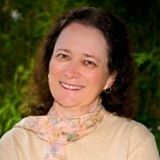 On August 14, Wednesday at 11am PT / 2pm ET, PowerPoint expert Ellen Finkelstein will be conducting a FREE webinar: High-Persuasion PowerPoint Presentation Secrets. On this webinar she’ll show you easy-to-use techniques to turn your live or web presentations into high-persuasion powerhouses. This will help you gain opportunities and sales for your work or business! Marketers have used these techniques in the past and have increased their conversion rate from 50% to 70% after applying these secrets!